Everyone knows I like my wine. Red wine is my vice of choice. During the holidays, my teeth might have a slight purple hue all month long. Just kidding. Not Really. Ok, maybe. 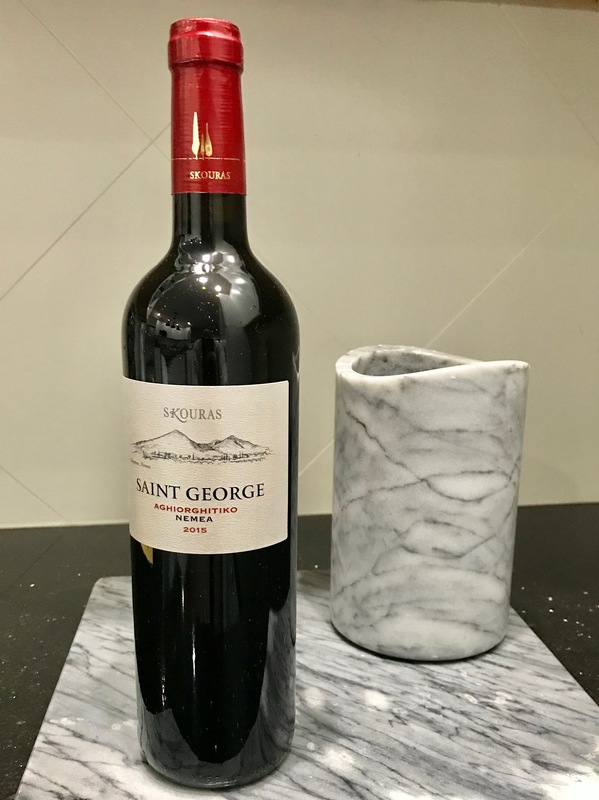 This 2015 Saint George red blend was in heavy rotation at The McNamee household this year. Reasonably priced at around $16 per bottle. I prefer to buy a case at time at Craft and Barrel located on Belmont Avenue, and personally fund support a local business at the same time. Purchase at Craft and Barrel located at 1433 W. Belmont Avenue. Tell the owner, Corey I sent you. I like the holidays, don't get me wrong. But that doesn't mean I want to turn my home into Santa's Village for a month. I am always in search of neutral holiday decorations that don't go overboard and also compliments my existing home décor. 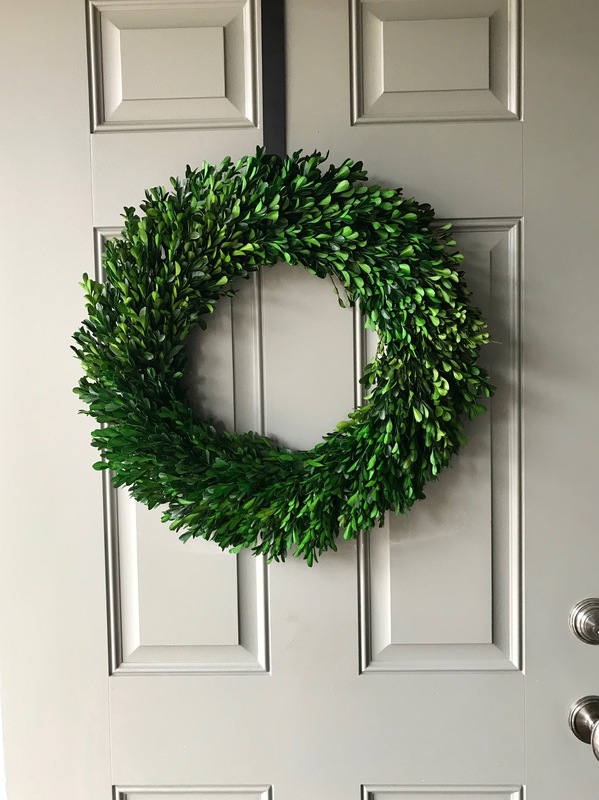 Warm up your room for the holidays with this bright wreath. Great for indoor and outdoor, but if using outdoors just make sure it doesn't get wet! I learned the hard way. Available at Target.com or in stores. With all the holiday parties to attend, I am always struggling with what to bring as a hostess gift. 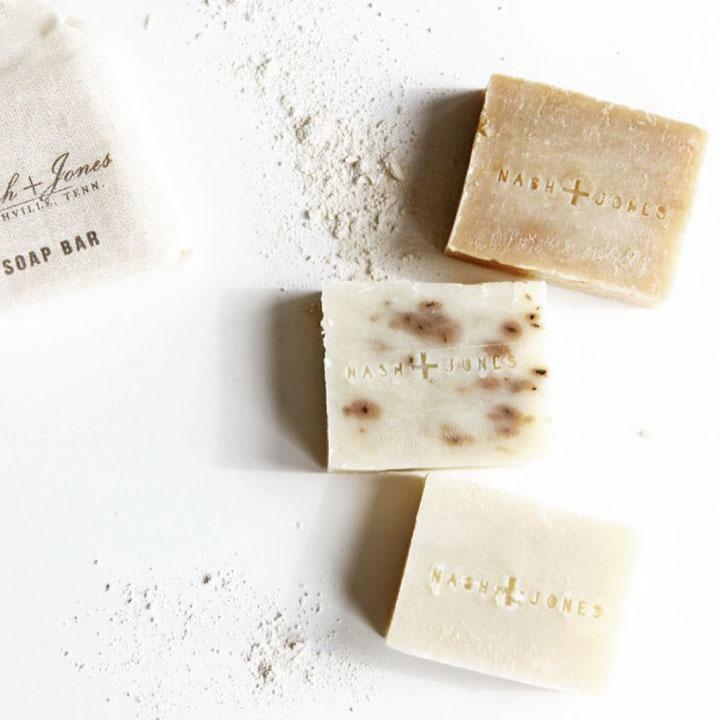 This unique blissful box comes pre-packaged with a box and bow, and is a thoughtful gift for any hostess spending hours on her feet prepping and entertaining. 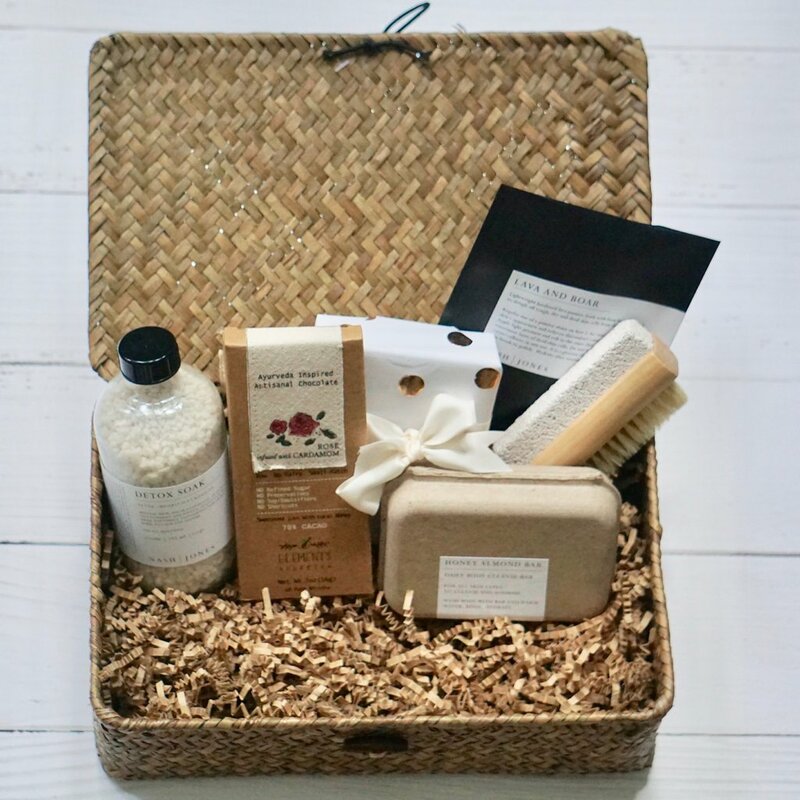 I also love Blissfully Broke's other gift box options for moms-to-be and special clients. Visit Blissfully-Broke.com for your next gift box. Obsessed with your pets like I am? Who isn't? 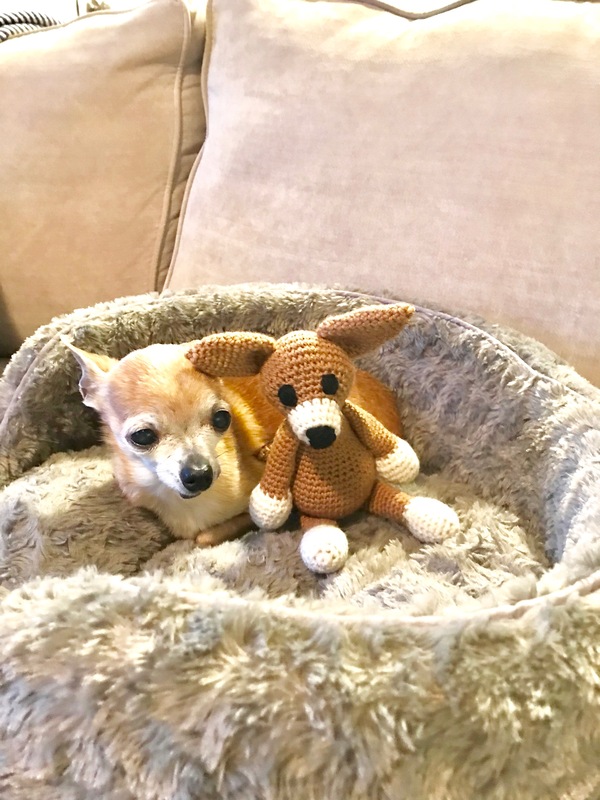 Commission a miniature crochet version of your fur baby, handmade by Independent Belle. I've already had my dogs, my parent's dogs and my sister's dogs done. Plus, Independent Belle owner, Laura Stonecipher, custom orders her yarn from an Alpaca Farm all the way in the UK. 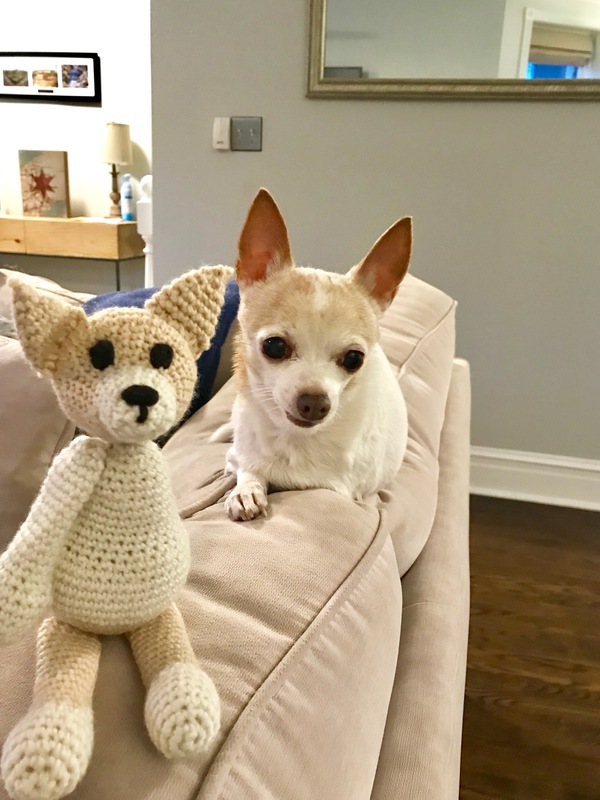 Fun Fact: Laura's first time stitching a tripod dog was for my pup, Skylar! Everyone say it together, "soooo cute"! Order yours at IndependentBelle.com. Baby, it's cold outside. Blankets and pillows become a permanent fixture on our couch this time of year. 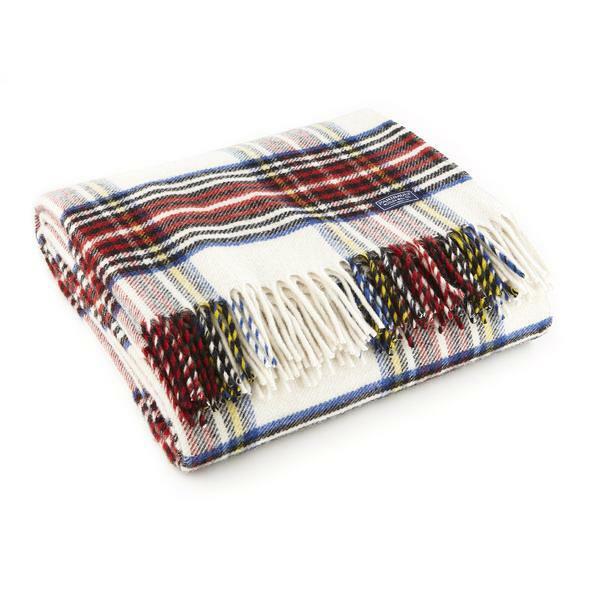 I am obsessed with the pattern of this Stewart Wool Throw blanket. Skylar and Bitsy love it too. There is nothing better than having a weekend day off and curling up on the couch under this blanket with the pups and a hot cup of coffee. Buy this at one of my favorite Northside shops, Neighborly located at 2003 W Montrose, or online at neighborlyshop.com. Hanging around family for multiple days can become a bore. Most times you are house bound for days on end with different ages and generations fighting over what to watch on TV or listen to on the bluetooth speaker. 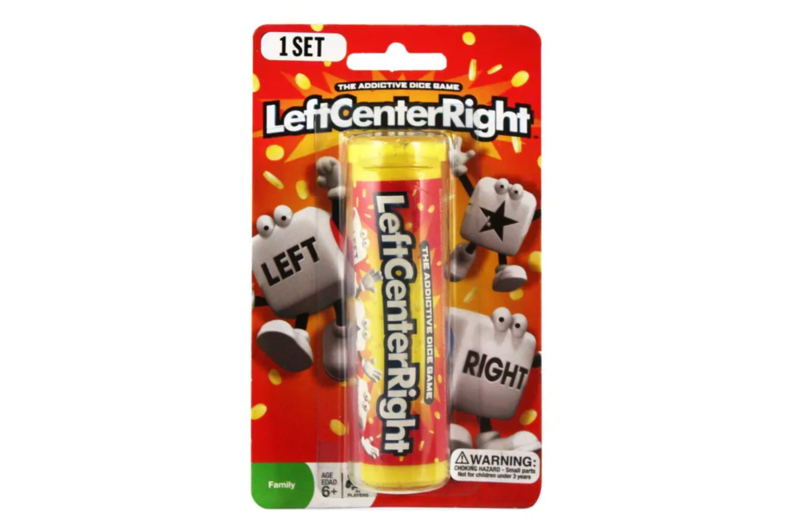 This easy to learn dice game, LeftCenterRight is a fun way to bring family of all ages together during the holidays. This game takes less than 60 seconds to understand and start playing. None of this reading directions or watching lengthy Youtube videos while yelling at everyone to pay attention to the directions. Want to spice things up a bit, try doing what my family does and swap out chips for dollar bills to make every roll of the dice even more exciting in this winner-takes-all game ender. Purchase at Amazon.com.